“We can’t fix poverty in this county without fixing housing.” This was one of the powerful statements by Matthew Desmond at his discussion in Charlotte on September 27, 2017. As part of an event sponsored by a number of community agencies, Desmond presented on his book, Evicted: Poverty and Profit in the American City. Desmond’s research highlights the ripple effects that evictions have at the individual, family, and neighborhood level. It also highlights how evictions disproportionately impact low-income black women and families with children. Underlying all of this, is the complicated relationship between tenants, landlords, and the systems with which they interact. Rents have increased at a faster rate than incomes in many communities and many renters are cost burdened (spending more than 30% of their income on housing). To foster further community conversation around evictions, the Foundation For The Carolinas provided 600 copies of Evicted to over 40 book clubs. These book clubs were held in a variety of places including neighborhoods, churches, and businesses. Mecklenburg County Community Support Services also partnered with community volunteers to develop a reading and facilitators guide to support book groups. 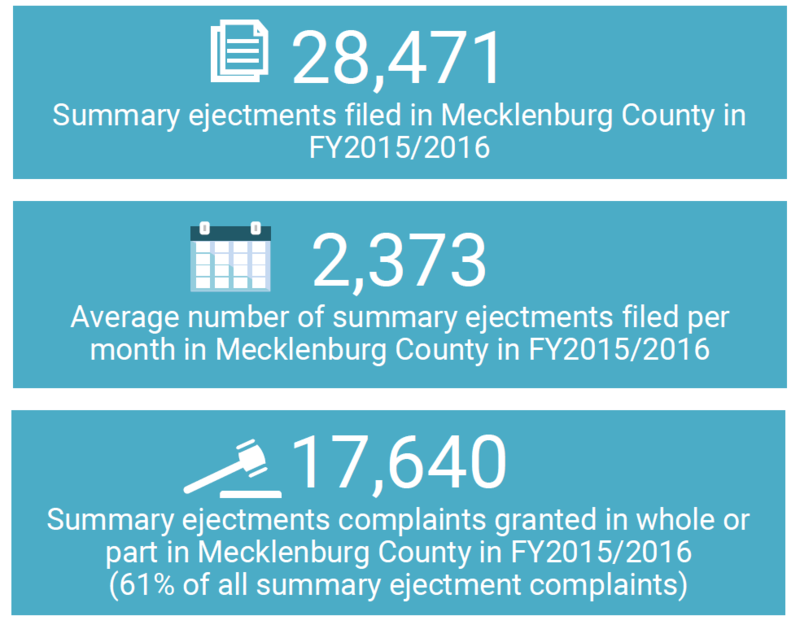 In an effort to better understand the eviction process and eviction data locally, Mecklenburg County Community Support Services also funded the report Evictions Part 1: An Introduction to Evictions in Charlotte-Mecklenburg, as part of the Housing Instability and Homelessness Report Series.  The report was authored by the UNC Charlotte Urban Institute and supported by the Housing Advisory Board of Charlotte-Mecklenburg. This is the first known report on evictions locally and is the first in a series that will examine evictions in Mecklenburg County. Evictions Part 1 provides details on the eviction process, including the number of people at risk of eviction each year, the legal reasons a landlord can evict a tenant and the legal protections of tenants. Other reports in the series will examine the geographic distribution of evictions and examine a one-month snapshot of court data. Evictions are broadly defined as an action to force a tenant with an oral or written lease to move from the premises where they reside. An eviction can be formal or informal. A formal eviction takes place within the legal court system and can be tracked by looking at complaints in summary ejectment filed with the court. There are also informal evictions, which are more difficult to track since they take place outside of the legal system and can be hard to identify. Informal evictions may take the form of rent increasing substantially, a landlord telling a tenant they should/must leave, or a landlord deferring maintenance. In fiscal year 2015/2016, there were approximately 28,471 households at risk of formal eviction. This works out to be approximately 2,373 households at risk of eviction per month or 103 per day. Of those households, approximately 61% resulted in a magistrate ruling in favor of the landlord. The number of formal evictions decreased steadily since fiscal year 2010/2011; however, there is no data currently to assess whether informal evictions have decreased or increased.  To see more data and learn more about the eviction process in Charlotte-Mecklenburg, you can access the Evictions Part 1 report on the Local Reports page of the Mecklenburg County Housing Data Dashboard. During Desmond’s presentation, he commented that when we as a nation want to take on a big problem, we have come up with big solutions. If Charlotte-Mecklenburg decides to take on the impact of evictions, what will its big solutions be?